The time has come for a new era of magic to begin with the upcoming theatrical release of the Harry Potter prequel, Fantastic Beasts and Where to Find Them. Based on JK Rowling's 2001 book and first mentioned in Harry Potter and the Philosopher's Stone, this story purports to be a copy of Harry Potter's textbook. Unlike the rest of the Harry Potter series, the action takes place around the secret community of witches and wizards in 1926 New York City. To celebrate the release of this new magical world and to encourage enchanted exploring of your own, Booking.com, the global leader in connecting travellers with the widest choice of incredible places to stay, is presenting a list of five fantastic themed properties and where to find them. All of the films in the Harry Potter series, including the most recent film Fantastic Beasts and Where to Find Them, have been filmed at Leavesden Studios in Hertfordshire, England. The studio now hosts The Making of Harry Potter studio tour which offers guests the opportunity to relive the magic through the eyes of the filmmakers who brought the Harry Potter franchise to life. After uncovering the magic of the studio tour, fans can stay at The Grove, a 5-star hotel only a philosopher's stone's throw away from the Harry Potter studio tour. 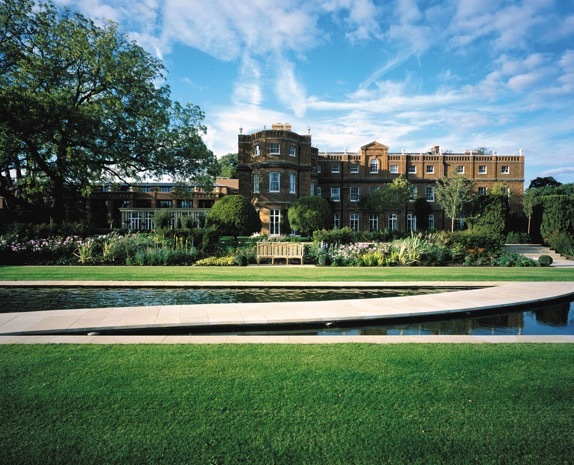 Guests can enjoy its elegant and spacious rooms, 300-acres of magical parkland, luxurious spa, 18-hole golf course and two swimming pools. Another major filming location for Fantastic Beasts and Where to Find Them was Liverpool, England, where the city was transformed into 1920s New York City. Embrace the magic this location has to offer by staying at the BridgetStreet Apartments at Liverpool ONE. It offers impressive views of the Liverpool city center and modern interiors from a fully furnished kitchen to elegant bathrooms. Not to mention, it's only a 5-mintue walk to the center of Liverpool, including the infamous St. George's Hall, so apparition spells and other methods of magical transportation can be left at home. For muggles and No-Majs who have ever wondered what it would be like to sleep like a wizard, the Wizard Chamber at the Georgian House Hotel in the centre of London can transport guests to a world full of magic and marvel. Concealed behind a bookcase door, curious guests will enjoy venturing to the Wizard Chamber of this 19th century hotel. Created to conjure a mysterious and gothic feel, each room features faux castle details such as stained glass windows, stone walls, archways, trunks, cauldrons, four-poster beds hung with velvet curtains and an abundance of other curious artefacts. Wood burning stoves, cauldrons in fireplaces and tapestries complete the look. 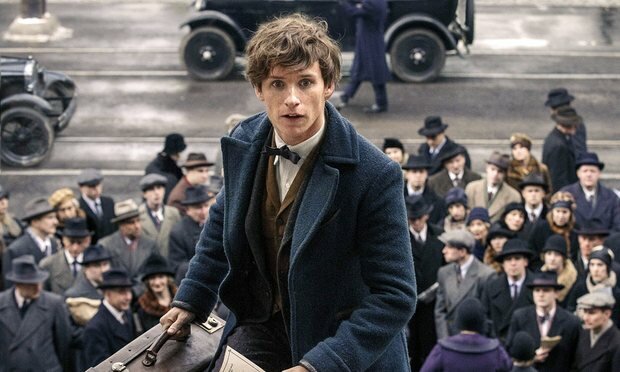 Filming for Fantastic Beasts and Where to Find Them may not have taken place in New York City, but the movie still captures the charm and hustle of America during the 1920s. The St. Regis is one of the most distinctive 1920s building in the heart of New York City which also captures that very same charm and hustle, but with modern amenities. Guest rooms provide flat-screen TVs, seating areas with sofas and desks with minibars and refrigerators. The ideally situated 5-star hotel only a short walk from other classic New York City landmarks including the Museum of Modern Art, Carnegie Hall, Rockefeller Center, Grand Central Station and the Empire State Building. Guests won't find any fantastic beasts at this sophisticated New York City landmark that evokes the glamorous 1920s. But they will find that their every demand is met with luxurious rooms, each serviced with personal butler service, a 42-inch flat-screen TV, free Wi-Fi and 400-thread-count linens and down duvets - no magic wands necessary! Guests of The Chatwal are also invited to step back in time at the bar that serves classic cocktails of the roaring 20s. Who knows, maybe magizoologist Newt Scamander himself will join for a bee's knees cocktail while taking a break from his quest to research and rescue magical creatures.